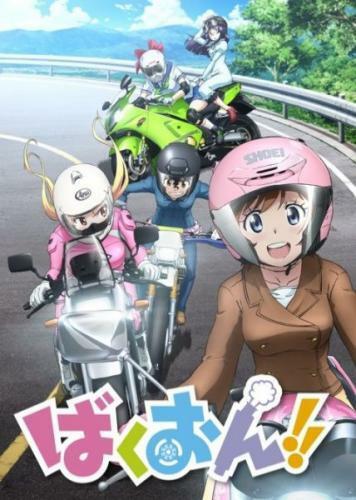 Home / All TV Shows / Bakuon!! When will be Bakuon!! next episode air date? Is Bakuon!! renewed or cancelled? Where to countdown Bakuon!! air dates? Is Bakuon!! worth watching? One day, while trying to ride her bicycle up a large hill on her way to school, Hane Sakura becomes awed upon seeing another student ride to school on a motorcycle. Taking an interest, Hana joins her school's motorcycle club and gets a motorcycle license. Bakuon!! next episode air date provides TVMaze for you. EpisoDate.com is your TV show guide to Countdown Bakuon!! Episode Air Dates and to stay in touch with Bakuon!! next episode Air Date and your others favorite TV Shows. Add the shows you like to a "Watchlist" and let the site take it from there.